USB Dongle key is a common tool to add extra security to your activities. Including securing software related to bank accounts and securing money transfers. For example some banks offers their customers USB security tokens in order to protect their transactions. We are willing to allow our coin users to adopt similar technolgy. 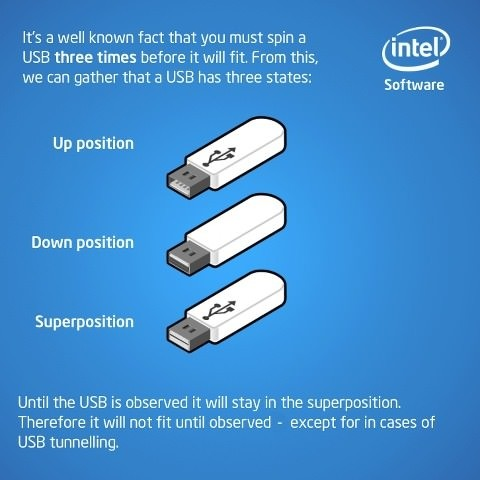 It is common knowledge that every device including USB have a unique number imprinted in it. Even without producing expensive custom usb dongles we can significantly improve your security with simple flash drive. To do this we will update standard X11 wallet with additional encryption. In order to install your wallet you need to connect your USB flash drive to your PC. Wallet will begin installation only if USB dflash drive is connected to your workstation. While installing your flash drive serial number will be encrypted within your wallet.dat file. As soon as your wallet is installed you will be prompted to write down your USB serial number just in case you lose your flash drive. Please note that wallet installation will format your flash drive. 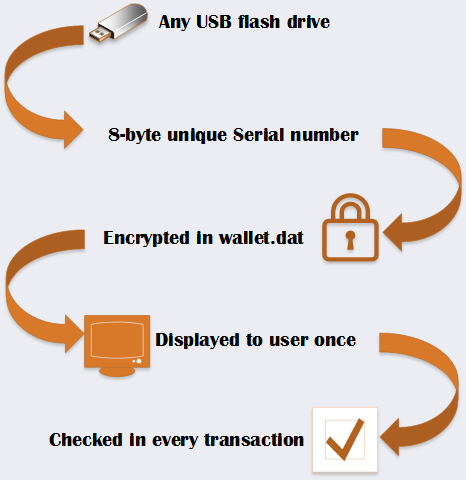 After your wallet is installed to your USB drive it will periodically check device serial number of the USB connected to your PC. If you do not have USB flash connected to your PC or if it has different serial number your wallet will not be able to connect to the network. What should i do if i lose my USB key? When installing your wallet DO NOT FORGET to write down your flash drive serial number. If you will lose your flash drive you will have to manually update your flash drive firmware and format new USB drive using tool that will be available with wallet. When formattig your USB drive you will be prompted to enter your dedicated serial number. Then you simply copy your wallet.dat on it. We are not going to premine anything except first few blocks. We are also not allowing instamine - first 100 block rewards will be 1 coin per block. Please donate to USB Coin Promotional fund so we could announce some bounties and reward people who are trying to help USB Coin! Thanks to all for your donations! inb4 100 mh/s at launch. I don't see the point if this. This is bringing more annoyance than security. Not that you can't emulate any drive you want, I don't see exchanges going out of their way to list this - that is if they need to use this 'feature' as well. And if not, what's the point if it can be circumvented? Yes you can. But only if you know serial. And with serial encrypted into wallet.dat you basically need to steal 1 more thing from someone to steal wallet. Stealing wallet.dat wont do it anymore. Or is that countdown wrong (time zone...)? It's always weird when a decent coin like this, with no pre-mine etc does not have so much attention..
Been a while that i've watched a launch, but i'm going to look at this one..
that one made my day ! Look promising, however we need mining pools BEFORE launch else the coin & dev will get attacked to no end. You know, you could just add a wallet modification that enforces the user to add a password encryption upon first use. It's the same result except you don't have to fiddle around with usb drives. I wouldn't trust any amount of money on a usb drive. They can easily get broken, stolen, borrowed, lost, etc.